Generally the 4th Tuesday of each Month 9- 11 a.m.
Fridays 10 a.m. - 2 p.m.
First Saturday of Each Month: 8 a.m. - 9:30 a.m.
* If arriving at 8 a.m., breakfast is offered. Mon & Fri: 10 a.m. - 1:45 p.m. Wednesday 11 a.m. - 2:45 p.m.
* Must receive food voucher, prior to arrival; photo ID is required to match address on voucher. Mondays: 2 p.m. - 6 p.m.
Yale Community Food Fund, Inc.
* Scheduled giveaways are published at various churches and in The Yale Expositor and Vinckier Foods. Tues: 9 a.m. - 2 p.m. Wed: 1 - 4:30 p.m. Thurs: 10 a.m. - 3 p.m.
Mon. - Fri. 4:45 p.m. - 5: 45 p.m.
Mon. - Sat. 11 a.m. - 12 noon Sun. 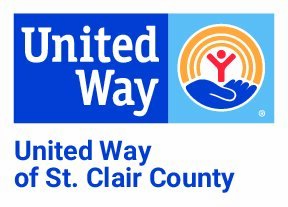 - Fri. 4 p.m. - 5 p.m.
Council on Aging offers eight meal sites located throughout St. Clair County (aged 60 or greater - $2 donation is encouraged). Reservations are required. Please call (800) 297-0099 to reserve your seat or for additional information. Visit Food Bank of Eastern Michigan for access to the most current information regarding mobile food pantries throughout the County.